Learn more about clearance refurbished models available from the Apple New Zealand. Save on current, and previous generation iPad models from the official Apple New Zealand refurbished store. All refurbished iPad products are sold directly from Apple after a strict refurbished process. All refurbished iPads include big savings, full New Zealand warranty, 14-day return policy, and are 100% working. Learn more, and order a refurbished MacBook Pro from Apple New Zealand. 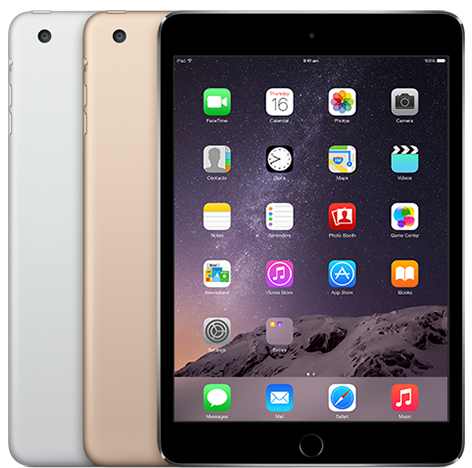 Compare models, and pricing on all refurbished iPad Air 2 models. Compare models, and pricing on all refurbished iPad Air 1 models. Prefer new? Teachers, and students eligible for Apple Educational Pricing can save up to NZ$360 off a new Mac, or NZ$30 off an iPad.